I’m not sure what to call this phenomena, but basically little particles form on the inside corner(s) of your print and create a little worm-like structure along with some stringing. 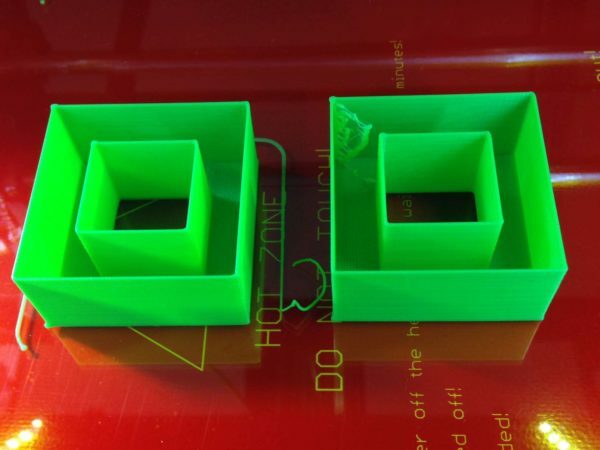 The example pictured on the right is printed with the same settings as you would choose for a vase: zero infill, zero top layers. However, there is an additional structure in the middle of the part. Solution: In Slic3r configuration under Print Settings > Infill , uncheck “Only retract when crossing perimeters.” What happens is Slic3r thinks that the nozzle is still within a filled layer even though infill is set to zero, and doesn’t recognize that you want two clean and distinct boundaries. For many reasons, we love printing in ABS. 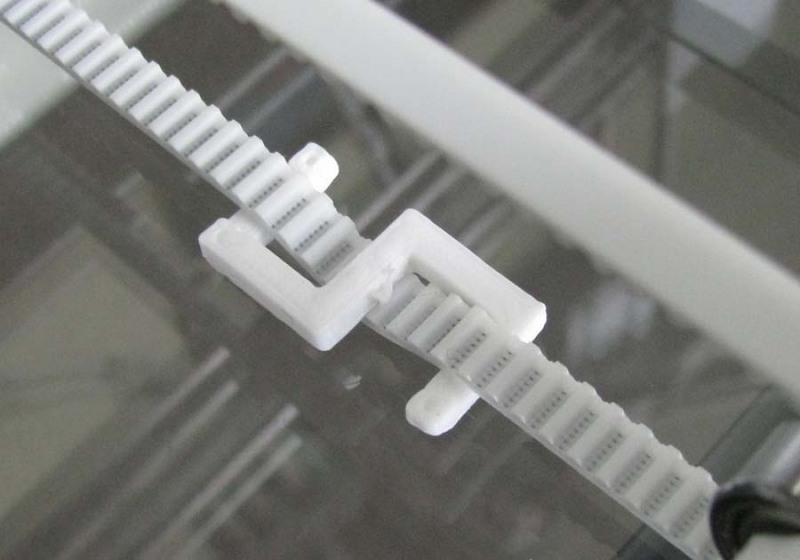 The tricky part comes when you want to print certain small fine details or parts that have gradual overhangs. Gradual overhangs tend to curl up with each layer because there’s no “anchor” below it so tries to shrink inward. With PLA, you would typically use a fan to blow air at the part. You can do this with ABS too, but this can cause cracking with taller prints due to poor layer bonding. 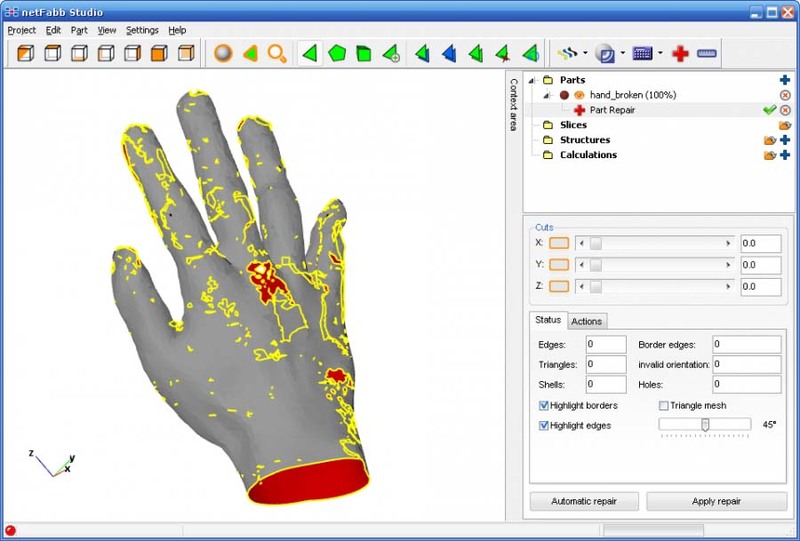 Right click on your part in the file tree (right side) and export it as an STL to your preferred location. Use a small glass jar with an air tight lid. You can find these at most hobby shops. Empty nail polish bottles work too, but they’re kind of small. Fill about half way with straight acetone (or however much you’d like if you’re using a larger jar). Add ABS. ABS takes time to completely dissolve in acetone, so the smaller bits you use the quicker the results. We like to simply print a 1-layer thick square sheet (or just start any print and stop it after the first layer), and then cut it into pieces. Snipping small pieces off the end of your filament works too, but it’ll just take more time to dissolve. Wait and stir. Repeat until all the ABS is dissolved. There’s no perfect ratio of ABS to acetone. Just use less ABS to make a thinner solution (great for surface finishing) or more ABS for a thicker solution (great for bonding or mending parts). Fuse smaller sections together using acetone. Design smaller parts to be attached together (without hardware). Design smaller parts to be screwed together (with hardware). This cracking phenomenon can occur with taller prints. The reason is because at higher layers (say from ~30mm on a typical Reprap), the part cools quicker and has less “help” from the heated bed. Therefore, subsequent layers cool down faster and faster which causes poor layer adhesion. Try increasing the extruder temperature by about 10C. Also, try increasing the bed temperature between 5-10C. This is commonly a problem for Repetier installs on Windows 7 PC’s. In Repetier, make sure the “Work Directory” (Config -> Repetier General Settings) is not in your “Program Files” folder (usually C:\Program Files). In short, Repetier creates and/or writes into a log file every time slice settings are changed and there is some issue with permissions. Problem: “The dimension of my part in X (or Y) is suddenly under-spec.” -or- “The sides of my round object are flat.”If your printer was known to be printing with dimensions within tolerance (meaning the settings in the firmware are good) and all of sudden parts are measuring smaller, check the tension of your drive belt. Loose belts will require the motor pulley to need to take up this little bit of slack before the extruder/print bed gets moved. This results in parts being undersized. If for some reason you have difficulties tightening your belt, try printing and attaching one of these nifty little S-clips (Thing:10082). Is your heat bed hot enough? For ABS, this is generally set between 100-110C. Is there a breeze or draft blowing across your printing area? 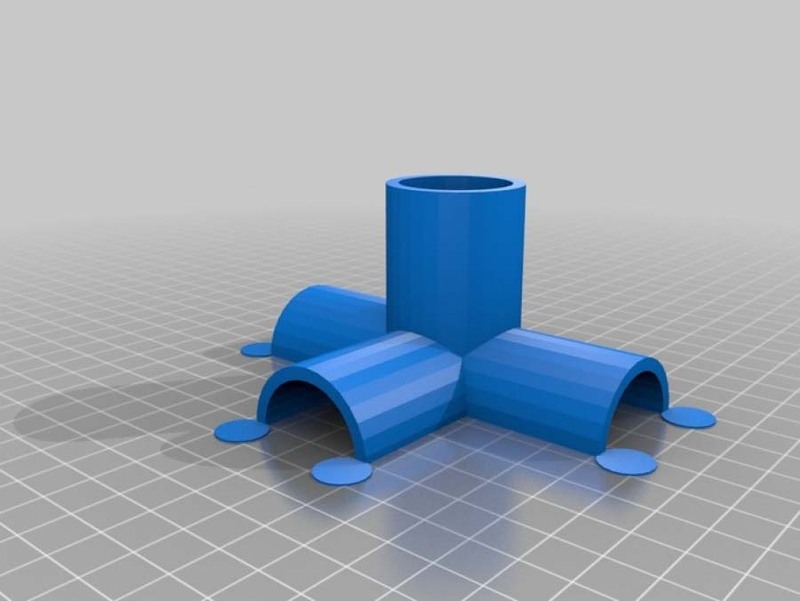 Turn off that ceiling fan, or build some make-shift walls to surround your printer. 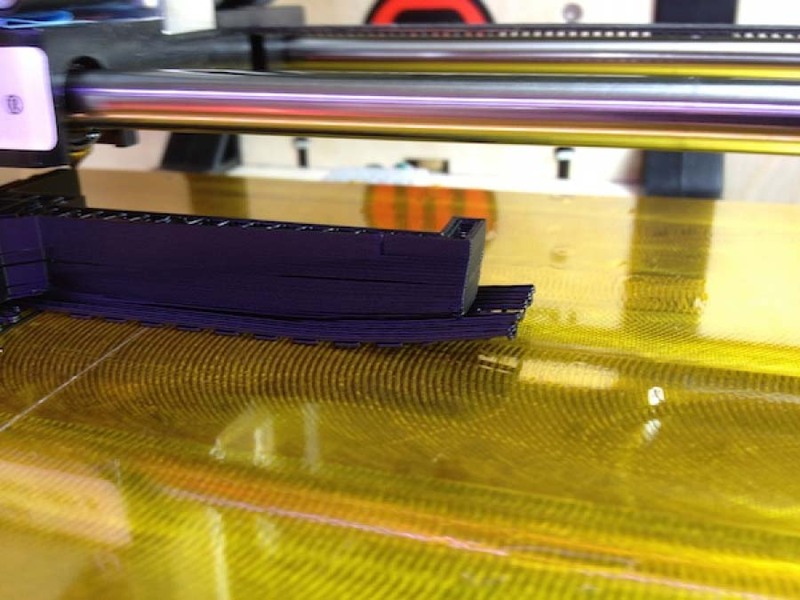 If printing with ABS, is your Kapton tape surface clean? Try occasionally wiping it down with acetone and/or rubbing alcohol. Are you printing very wide or thin features? 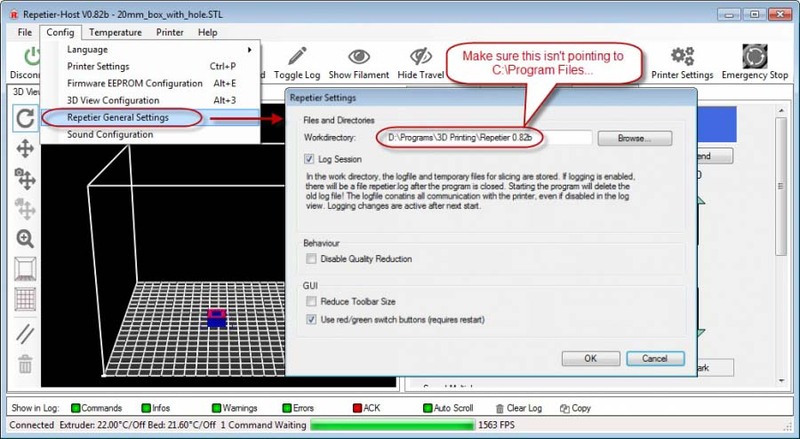 Try adding little pads to the corners of your 3D data to use as anchors (Check out the tip “COMBAT WARPING WITH PADS”). Do you have enough 1st layer squish? 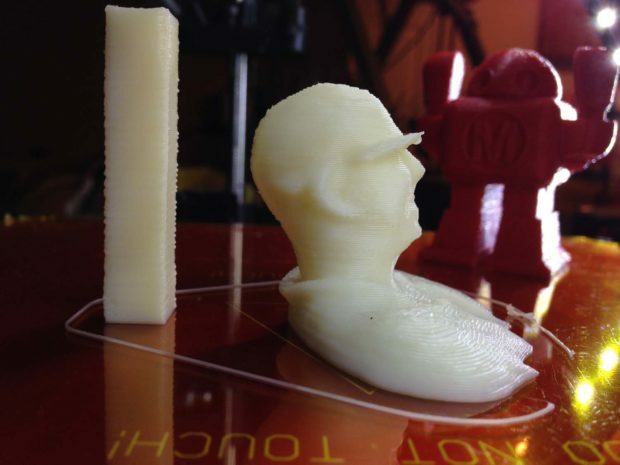 Insufficient squishing of the first layer can cause poor adhesion, leading to a warped base. 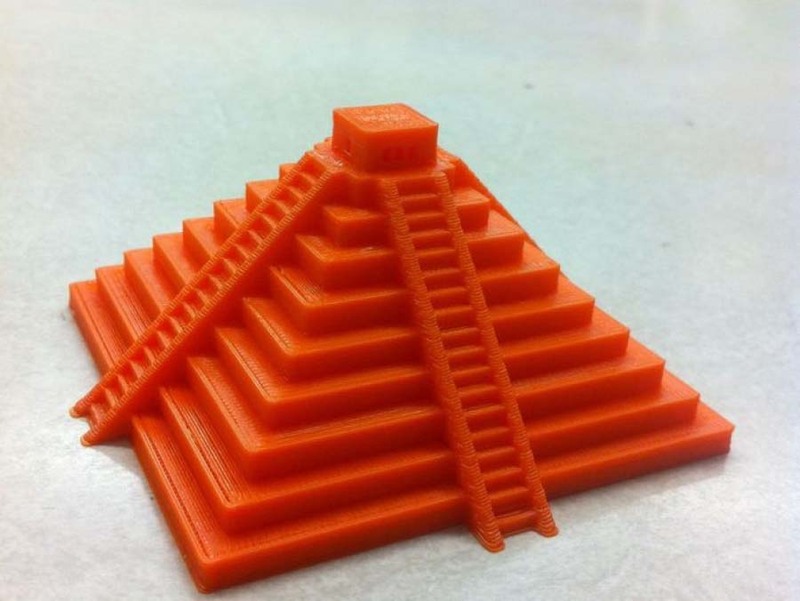 Are you printing your first layer too fast? Trying slowing down your first layer speed to around 30mm/s. If your printer was known to be printing with dimensions within tolerance (meaning the settings in the firmware are good) and all of sudden parts are measuring smaller, check the tension of your drive belt. Loose belts will require the motor pulley to need to take up this little bit of slack before the extruder/print bed gets moved. This results in parts being undersized. If for some reason you have difficulties tightening your belt, try printing and attaching one of these nifty little S-clips (Thing:10082).